Save time and eliminate stress by getting your completely assembled, fun and affordable pre-adhesive books from Lenzart. 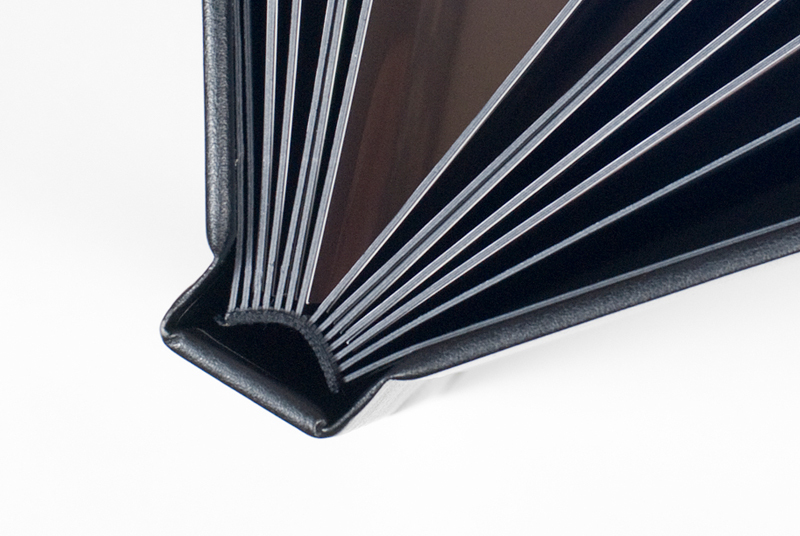 Black, hardcover books are available in 7 sizes and their uses are endless. Some creative EZ Books that we offer are Guest Signing Books, Senior Signing Books and Pastel Books which are great for kids. Try adding a cover image for a unique final album product. Black, hard cover books are available in 7 sizes, and each size book is available in either 5 pages/10 prints or 10 pages/20 prints. 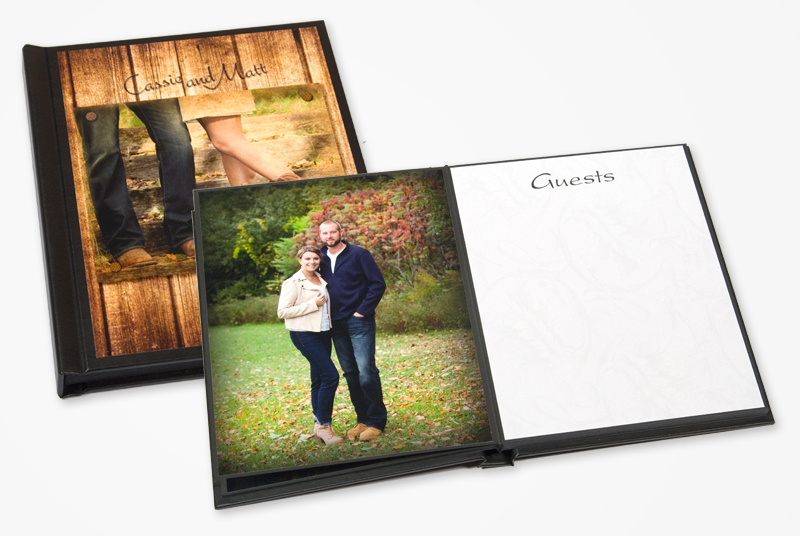 The uses are endless – proof presentation, guest books, senior signing books, brag books, pet albums, family reunion albums, corporate event albums, parent albums and baby clubs. The Guest Signing Book is 8×10 and contains 10 image prints. Other 10 non-photographic prints are beautiful, predesigned signing pages. Cover color is black. 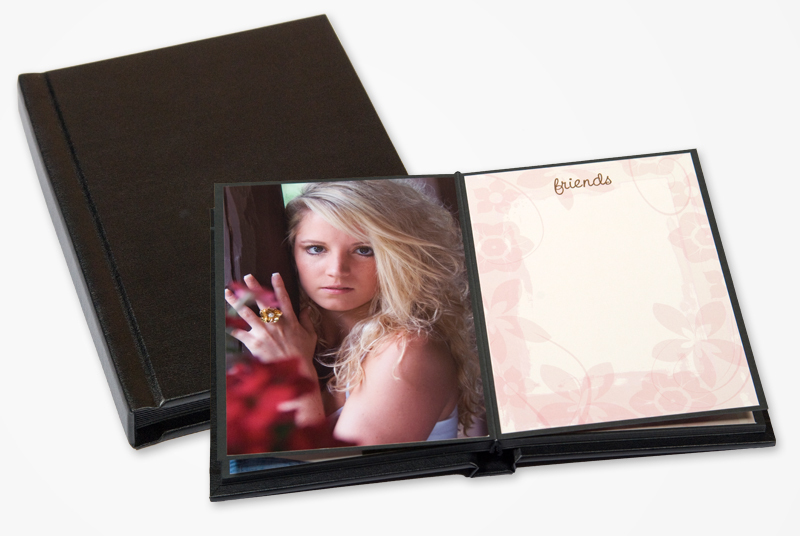 The Senior Signing Book is 5×7 and contains 10 image prints. Other 10 non-photographic prints are a variety of fun, predesigned signing pages. Cover color is black. 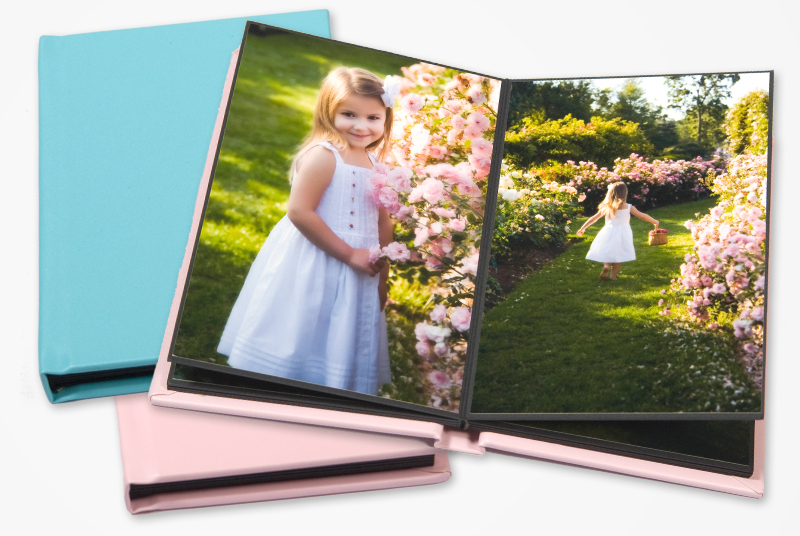 The Pastel Book (available in pink or blue) is 4×6 and contains 10 image prints – great for kids! Available in Lenzart ROES, Books and Albums catalog. Any of these sizes and covers can have the added option of a cover image – making each one unique. To view professional studio pricing – please log in with your user name and password. If you do not have an account with Lenzart yet – please visit our Get Started with LenzartROES page to create an account and receive your log in information.